1. Start as soon as possible. The sooner you start investing, the more time you are allowing the market to grow your money. For example, John wants to retire at age 65 and starts investing at age 20. He contributes a portion of his income to his employer-matched 401(k) plan ─ for a total of $130,500 in contributions. With an 8% average rate of return, at the end of the 45 years, John will have about $1.2 million. 2. Get smart. It’s very easy to just follow someone’s advice or do what everyone else is doing, but it’s so important to conduct your own research of the market and different types of investments. You certainly don’t have to become an expert. Much like you might do before a doctor visit, learning about the marketplace and the players will arm you with questions for your financial advisor. Whether you search the Internet, read books, watch financial news, listen to talk radio, or read financial articles like this one, make sure the information comes from reliable, unbiased sources. 3. Seek professional help. While having an understanding of the market overall and your investments more specifically, you don’t have to become a professional investor to find success. After all, investing is a full-time job. 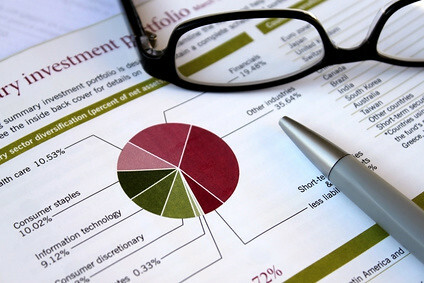 Get advice and investment management help from a trusted financial advisor. 5. Rebalance. It’s important to update your strategy and rebalance your investments on an annual basis. When you develop an investment strategy, you allocate your funds in a way that fits your financial profile and goals at the time. However, at the end of the year, you may realize that the weighting of your asset classes has changed as certain assets have grown and others have shrunk. Rebalancing will bring your investments back into alignment with your strategy. If your financial profile or goals have changed, you’ll need to revisit your strategy. When you first get started, investing can be confusing and overwhelming, but following these five tips should make for an easier start. Please call if you’d like to discuss this in more detail.